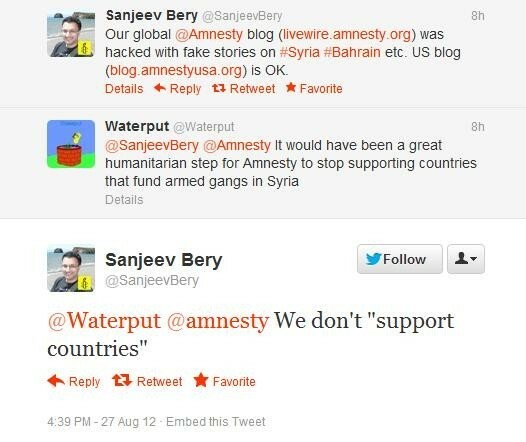 “Hacked” Amnesty International blog condemns West arming Syrian terrorists – Ila el amam! 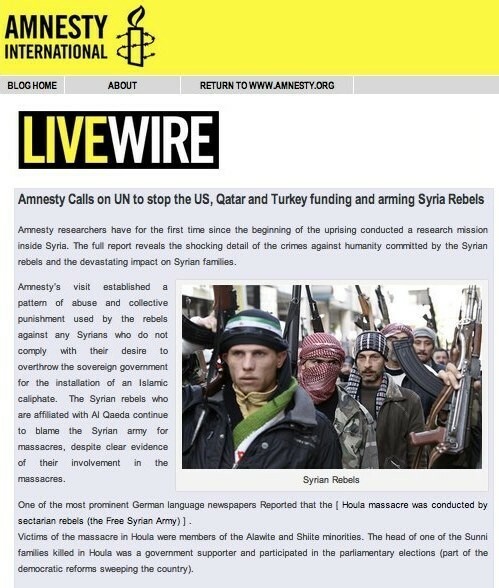 August 28, 2012 – Like Reuters a few weeks ago, Amnesty International claims to be hacked on Monday when an article with headline “Amnesty calls on UN to stop the US, Qatar and Turkey funding and arming Syria rebels” condemning the foreign-backed armed insurgents who seek to overthrow the Syrian government appeared on its blog livewire.amnesty.org. An other article that appeared during the alleged hack contains the testimony of a Bahraini activist who states he “escaped the most oppressive regime in the world”. The articles have been removed from the blog now, but one of them is still available at breakingnews.sy. 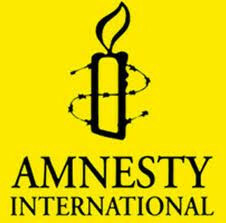 Amnesty International has openly supported the terrorists who fight in Syria under the guise of seeking democracy. In June the Dutch branch of the so-called human rights organisation launched a petition campaign urging “president al-Assad’s only friend”, Russian president Putin, to make the Syrian government stop what Amnesty described as the “systematical use of horrible violence by Syrian government troops and militias in towns and villages”. 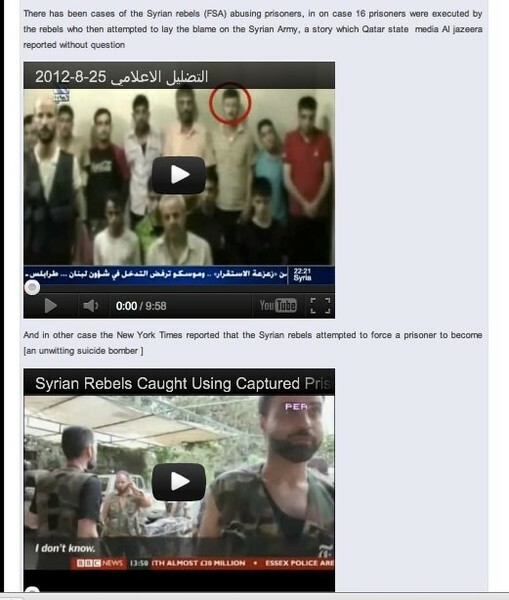 Following are a few screenshots of the removed articles which appeared on livewire.amnesty.org during the alleged hack on August 27, thanks to Syriangirl Partisan. As has been the case with the alleged Reuters hack on August 5, the “fake” articles and messages appeared to be professional and of good journalistic quality, which leaves us with the interesting question if Amnesty International and Reuters were actually hacked, or if there probably are people on the inside who no longer can handle the lies and outright propaganda of media outlets and so-called human rights organisations on the Syria crisis.